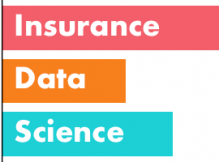 The first Insurance Data Science conference at Cass Business School follows on from five iterations of the R in Insurance conferences, which had the aim of bringing together practitioners and academics together to discuss and exchange ideas and needs from both sides. We expect contributions to topics related to risk assessment, customer analytics, pricing, reserving, capital management, catastrophe and econometric modelling. The conference will be followed by a full-day Stan in insurance workshop.